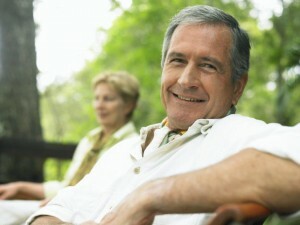 Hair loss doesn't have to be an inevitable part of aging. Get the latest hints, tips and breakthroughs on preventing hair loss, and what you can do right now to help, on the NorthStar blog on hair and hair loss. If you’re hoping to stop thinning hair, you’re not alone. 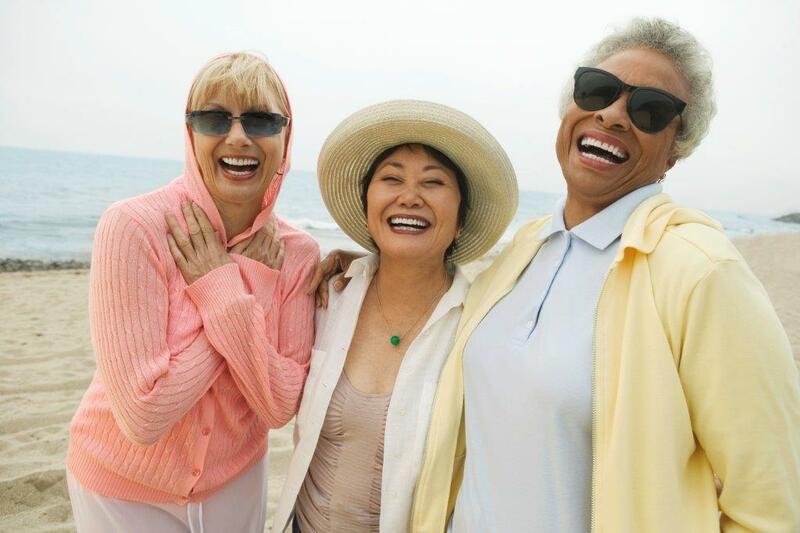 60% of women experience thinning hair by age 70. 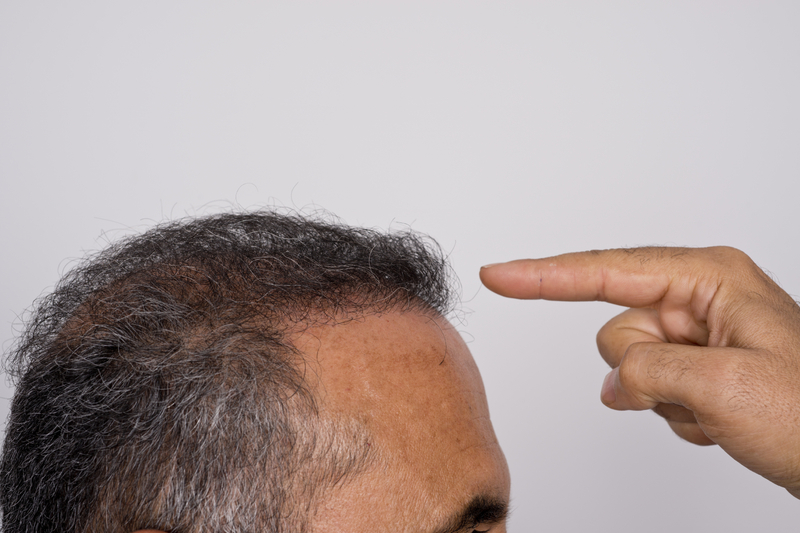 And for men, those numbers are even higher – 85% of men are thinking about how to stop thinning hair by age 50! Don’t wait until thinning hair becomes a bald spot – or wide part – or an island. Listen to the experts, salon stylists, and stop thinning hair starting today. 1. Ease the tension. 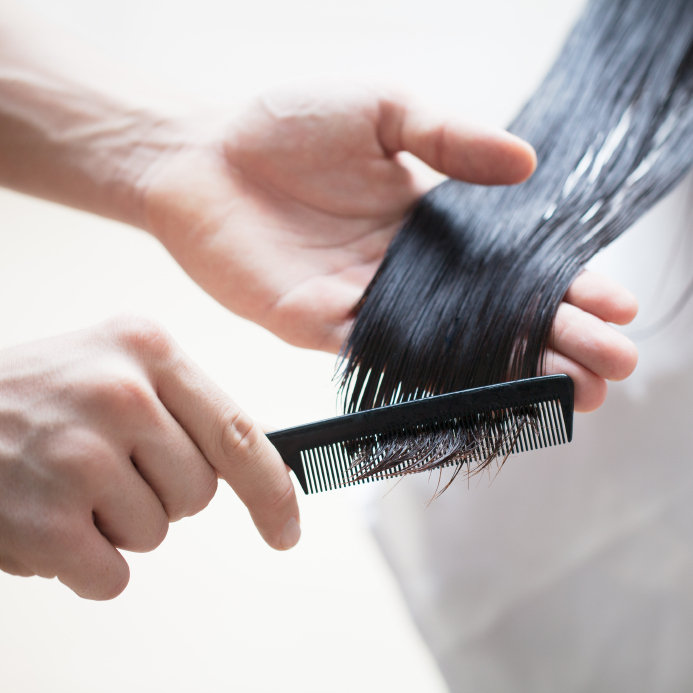 Too tight of hairstyles like ponytails, braids, and buns, can damage follicles, leading to thinning hair. Even wrapping hair too tightly around hot curlers can cause problems. You can still enjoy those styles, just don’t pull them tight enough that you can feel them in your scalp. 2. But don’t relax. Chemical relaxers, perms, hair colors – they all damage your hair to the follicles and even below. Some of them actually break down the structure of the hair strands, so they break easily. Stop thinning hair once and for all by letting your hair be natural. 3. Stop with the heat. Stop thinning hair by turning off the heat. From hair dryers to curling irons to hot curlers, heat does its job and dries hair strands. But that makes hair dry, brittle, and dehydrated, so it’s more likely to break. Put down the hot styling tools and let hair dry naturally. 4. Change the way you think about shampoo. Which shampoo you’re using matters. A lot. Shampoos strip the oils away from you hair. While that may make your hair clean, it also makes your hair fragile. Look for mild shampoos that have Isethionate or Glucoside high in their ingredients list. And avoid shampoos that include sulfate, parabens, and/or sulfonate if you want to stop thinning hair. 6. Don’t skimp on conditioner. Not only should you condition every time you shampoo, you might find it helpful to condition more often than you shampoo. For some reason, people tend to skip this step even though conditioner is vital to stopping hair from getting thin. Hydrated hair is healthy hair. Dehydrated hair is brittle, unhealthy hair. Use a lightweight formula so that it doesn’t build up and weigh you down. But keep hair well-hydrated. 7. Pick the right brush. Decades ago, people thought brushing hair 100 strokes before bed helped it grow. These days, most people realize that’s an old wives tale that doesn’t stand up to reality. However, many people still don’t realize how important choosing the right brush is to hair health. 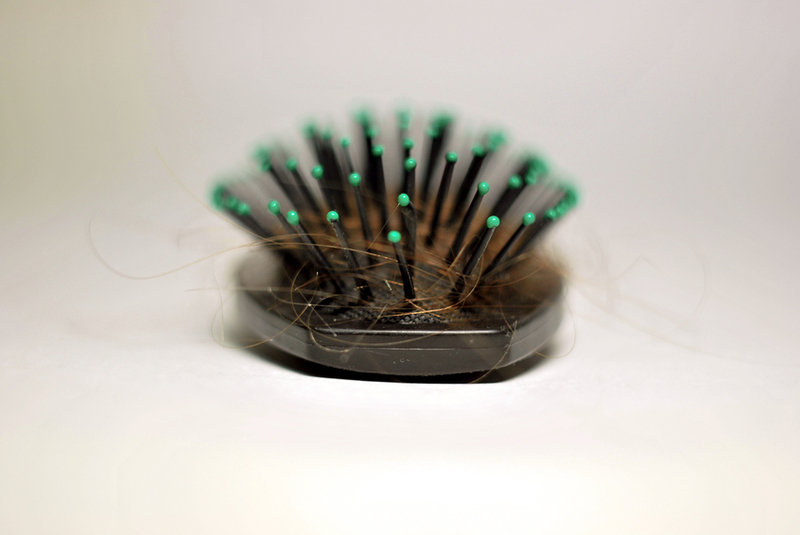 To stop thinning hair, choose a brush with natural fibers. If you’ve got natural curls, choose a paddle brush, as well. And don’t pull with the brush, but be gentle, working from the underside out. Finally, don’t use a brush on wet hair. Stick with a comb until it’s dried. 8. Eat for healthy hair. As any good stylist will tell you, what you eat has an undeniable effect on the health of your hair. Make sure you’re getting plenty of protein, biotin, and omega-3 fatty acids. Protein is a building block of healthy hair. Biotin deficiency can actually speed up hair loss. And omega-3s help not only your heart, but your head, too! 9. Don’t be afraid to supplement. This doesn’t mean you have to resort to sticky sprays or prescriptions with questionable side effects. 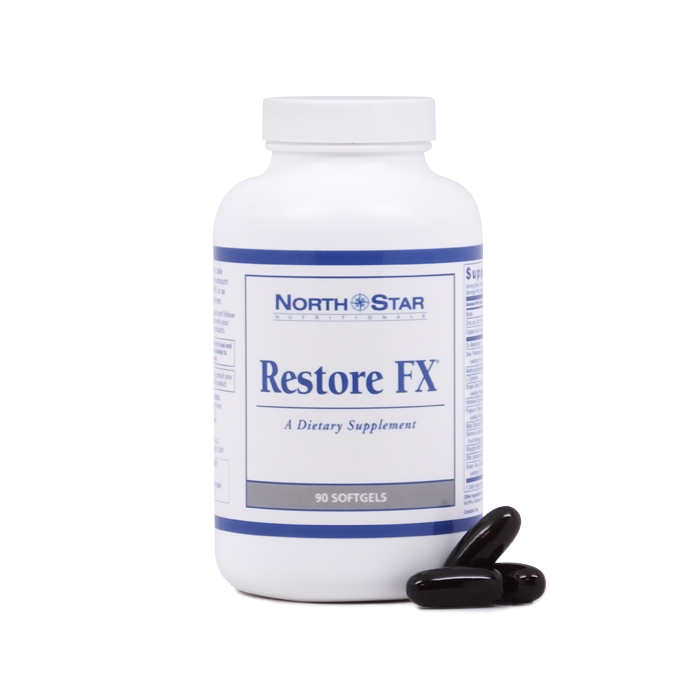 You can find the nutrients, minerals, and herbal benefits your hair needs to stay healthy and strong from all-natural formulas, like Restore FX. Salon stylists know best, so listen to them! Stop thinning hair safely, and easily, without sacrificing style – in nine easy steps. Let’s start with the kind of stress most people don’t consider when thinking about hair loss – physiological, or physical, stress. This stress doesn’t have to have anything to do directly with your hair, either, so don’t think it’s only about pulling a bun too tight or using the wrong brush. 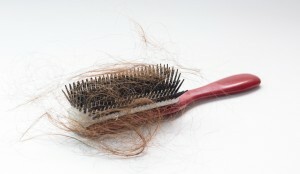 Physical stress that leads to hair loss can be an accident, illness, extreme weight loss, or poor nutrition. Even a change in prescriptions may cause hair loss. Your body registers all of those – and reacts to them – as stressors. And that means if they go on long enough, they can cause hair loss. It’s often hard to recognize the hair loss as a symptom of physical stress because it can take so long for the cause to lead to the effect. In other words, it may take up to three or four months after the accident, illness, surgery, or weight loss for your hair to start falling out. But it really was caused by that initial physical stress. Luckily, so long as the physical stress is a temporary event, the hair loss should be temporary as well. 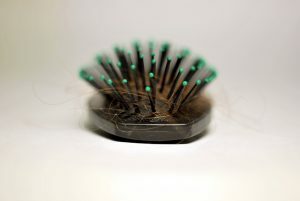 This is the kind of stress most people think about when they think about hair loss and stress – and with good reason. When you’re stressed, your body goes into “fight or flight” mode, which, in turn, takes over many of the other systems throughout your body – including hair growth. Shut that system down long enough, and your hair follicles go into resting mode, which is when hair falls out. Unfortunately, life is stressful enough these days that many people are in “fight or flight” mode almost all the time. Your adrenal glands are always working overtime, so they take and keep control of the systems that allow your hair to stay healthy, thick, and strong. Playing a role in hair loss and stress is sleep – or a lack of it. The more stressed you are, the less sleep you’re likely to get. The less sleep you get, the more stressed you’re likely to be. It’s a cycle that’s hard on your hair, and harder to break. Every part of your body needs sleep in order to restore itself, and that includes your hair follicles. Since your hair is sensitive to changes in restorative sleep, if you aren’t getting enough of it, you’ll probably start seeing the results in your brush and drain. As with physical stress, though, if you can get control of your emotional stress so it’s a temporary event, your hair should start growing back. Get exercise. A walk can help reduce stress, even if you think you’re too stressed to get off the couch. 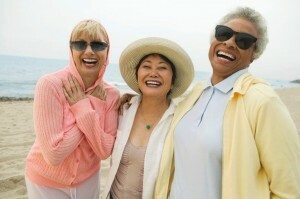 People with friends to laugh with, talk to, and just be around tend to have lower stress levels. Learn to say no. 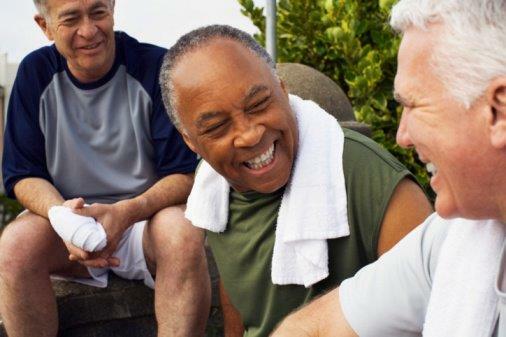 Although being social can help with stress, feeling obligated or over-extended increases stress levels. It’s okay to set boundaries. Try yoga. Or tai chi. Or meditation. There are many relaxation techniques that have proven track records. Just because one doesn’t fit your style doesn’t mean none of them will. Find someone to talk to. A therapist or counselor may be able to help if you need more than a friendly ear. And the stigma that used to be attached to finding one is long gone. So ask for help dealing with your stress if you need it. 2. Get more sleep. If you can manage your stress, you should be able to get to sleep easier in the evenings. Still, it’s important to make sleep a priority in its own right, too. Take an hour or two before bedtime to start winding down, so your body recognizes it’s time to rest. Go to bed and get up at the same time every day, so your body can learn a sleep schedule. And keep your bedroom peaceful. 3. Check your diet. 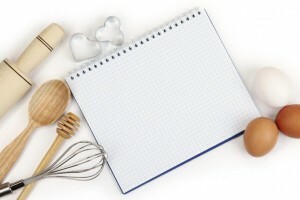 Eating a proper diet can help with both emotional and physical stress. Make sure you’re getting plenty of vegetables, lean proteins, and healthy fats. 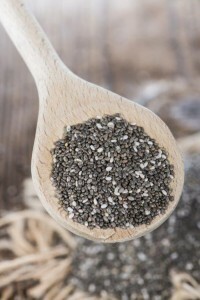 Protein and vitamin B are especially important to hair health. Make sure you’re getting fish, nuts, fruit, and avocado along with your leafy greens and healthy carbs. 4. Help your hair along. While hair loss and stress may be connected, even stress-related hair loss can be helped by advancements in research. There are products available that have been shown to support healthy hair, discourage hair loss, and even encourage hair growth – products like Restore FX – so that you can keep the hair you’ve got instead of watching it go down the drain. If it’s emotional or physical, stress and hair loss ARE connected. So disconnect them, with these simple steps, and Restore FX. Your hair belongs on your head. Not in your brush, not down the drain. You need quick fixes before you’re totally bald. But what are you supposed to do? Over the counter creams don’t work for every type of hair loss, and surgeries are expensive, scary, and take too long. 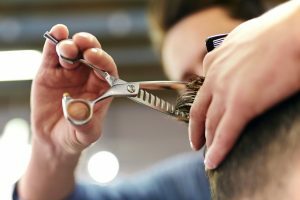 So you’re thinking about hair grafting. You’ve seen the commercials and it doesn’t seem that bad. Plus, you’re getting a little thin up top. It would be nice to nip hair loss in the bud, while it’s still just a little thin. And it’s true - there’s nothing, no pill, cream, or spray that works as well as an effective hair graft. It makes sense – so long as you only watch the commercials. If you really want thick, shiny, healthy hair, it’s time to stop worrying about what you put on your hair and start thinking about what you put in your body. You don’t need another shampoo, you need a hair growth diet. Shampoos and conditioners can only do so much because they only work on the outside. The health of your hair is determined long before a shampoo or styling product can touch it. If your hair is unhealthy when it first grows out, no product can change that. So feed your hair, literally, with a hair growth diet that will help ensure your hair starts out as healthy and gorgeous as possible. You know you should quit smoking. If you could see the damage each cigarette does to your body, it would probably be easier. But you can’t see it and it takes years to get sick, so it’s easy to pretend you’re fine. 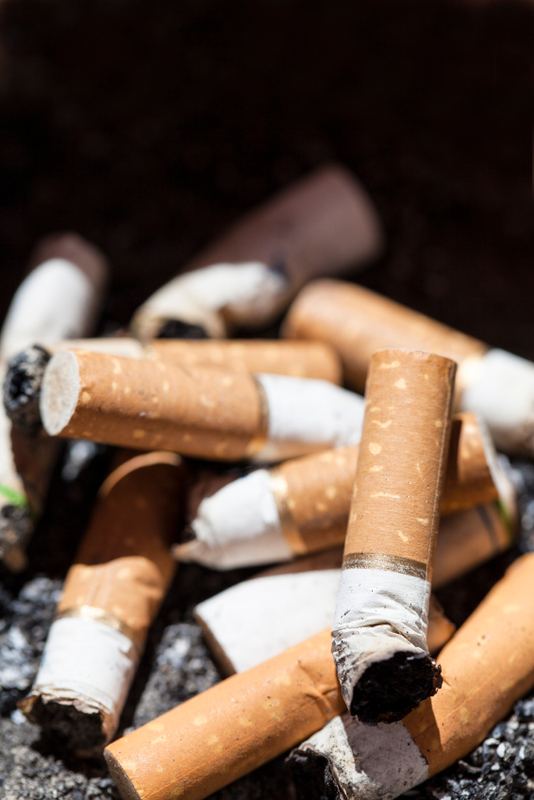 And sure, smoking can cause wrinkles and grey hair – but those can be covered. It’s easy to pretend you’re fine. So what if I told you there was a link between smoking and hair loss? That the thinning you’re beginning to see up top is a very real result of smoking. When it’s in your mirror…and your hairbrush…and your shower drain…it’s harder to pretend you’re fine. Restore FX Scam: What Are Real Users Saying? We understand why people worry about a Restore FX scam. If we hadn’t designed it, we’d worry Restore FX is a scam, too. But if you look at why and how we’re able to make those claims, you’ll quickly come to understand what thousands of other satisfied customers have already learned. 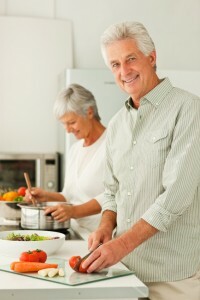 Age, sunlight, chemicals – they can all work together over time to make your hair thin, brittle, dull, and unhealthy. Suddenly, it feels like you’re spending more time watching hair go down the drain than styling it. All you want are tips to grow hair fast. You’re not looking for anything crazy or desperate. Just natural, healthy, reasonable tips to grow hair. So why does that sometimes feel like it’s too much to ask? If it’s starting to feel like the suggestions are getting crazier – or worse, you’re actually starting to consider some of them – you’ve come to the right place. Be honest – how old were you when you started looking for hair loss products for men? Maybe you were young, and hadn’t hit 30 yet. Or maybe you’ve just started to notice some thinning. Either way, finding the best hair products for men probably hasn’t been easy, or you wouldn’t be here. Creams are messy. Surgery can be expensive. Shampoos only do so much. And sprays don’t last. So what are you supposed to do? Watch as your hair fills up your sink – and then suddenly stops because it’s gone? No more settling for products that are messy, only work so well, and don’t even last. That is definitely not your style. When some men lose their hair, it’s not a big deal. They don’t need a men’s hair loss guide or hair loss treatments because they’re still tough, strong, manly looking men, even with less hair on their heads. But let’s be honest – not everyone is Bruce Willis or Samuel L. Jackson. For the rest of us, the hair in the sink and left on the hairbrush can be more disheartening.